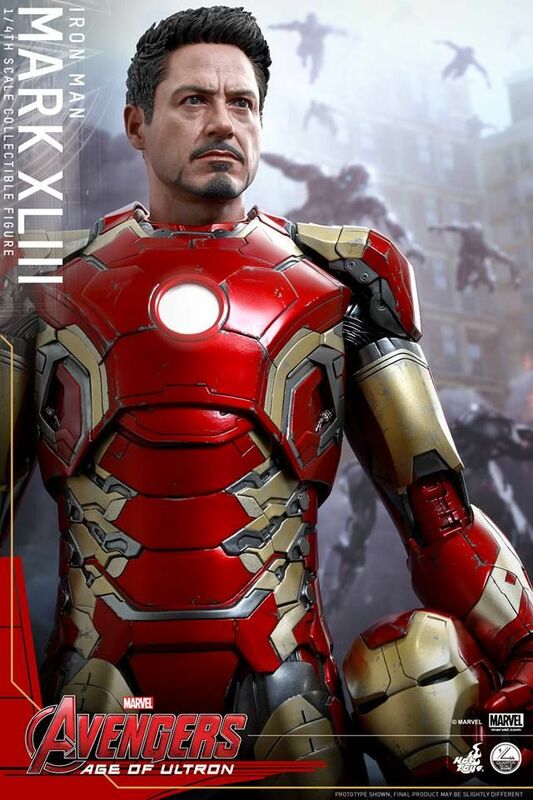 Quando Tony Stark cerca di avviare un programma di pace, le cose degenerano e i più grandi eroi della Terra, tra cui Iron Man, Captain America, Thor, l'Incredibile Hulk, Vedova Nera e Occhio di Falco, saranno messi alla prova, mentre il destino del pianeta è a rischio. 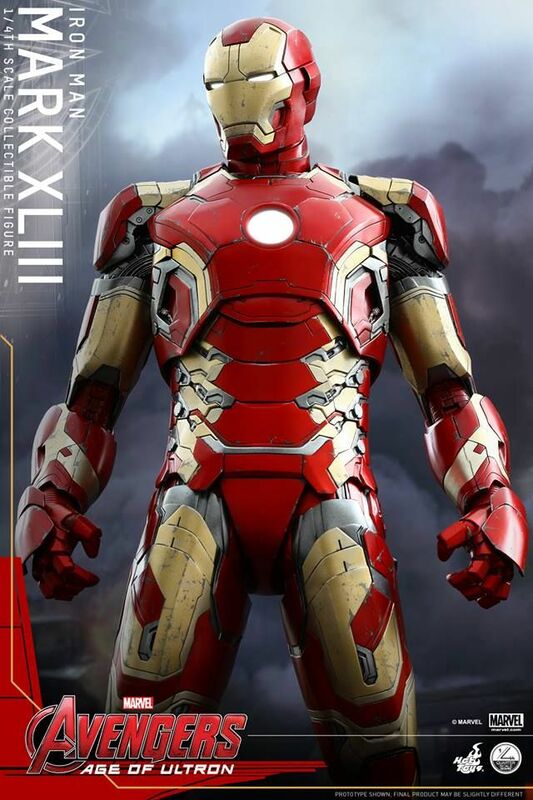 Il villain Ultron emerge, e spetterà agli Avengers impedirgli di attuare i suoi terribili piani, e presto scomode alleanze e situazioni inaspettate apriranno la strada a un'avventura originale, su scala globale. 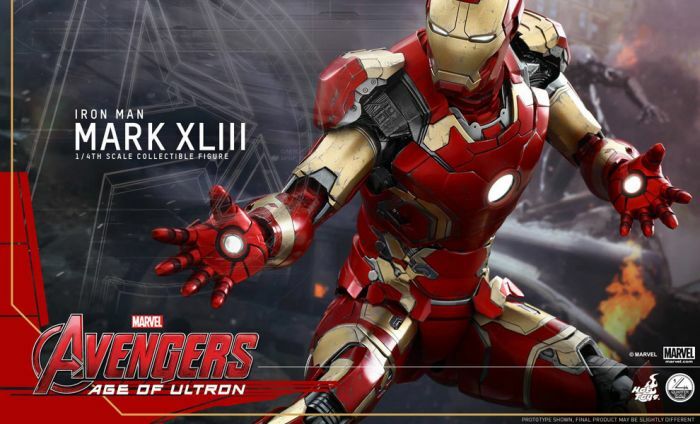 La squadra deve riunirsi per sconfiggere James Spader nei panni di Ultron, un terrificante megacattivo deciso ad annientare il genere umano.The path of Marvel’s Avengers: Age of Ultron collectibles by Hot Toys continues as the exciting blockbuster’s release date is getting closer! 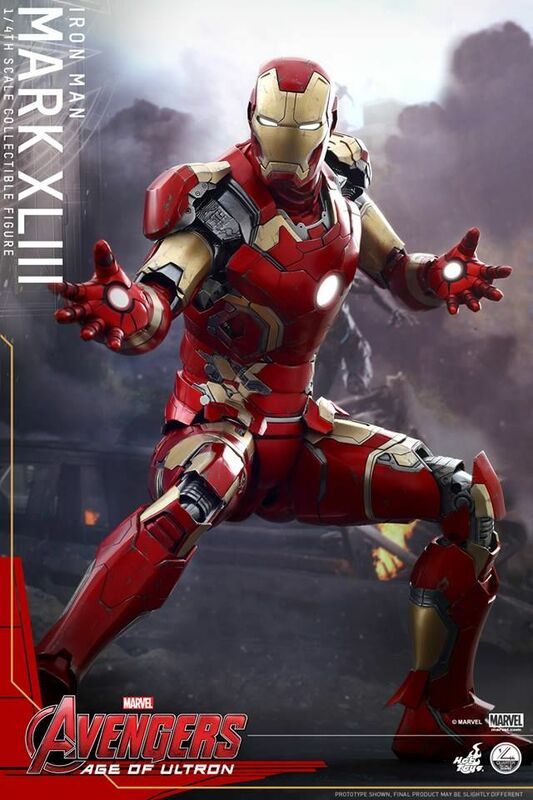 Since the reveal of the prototype at toy exhibition late last year, fans have already been anxiously waiting for this collectible figure, today we are very thrilled to officially present the first 1/4th scale Iron Man collectible figure – the Mark XLIII from Avengers: Age of Ultron! 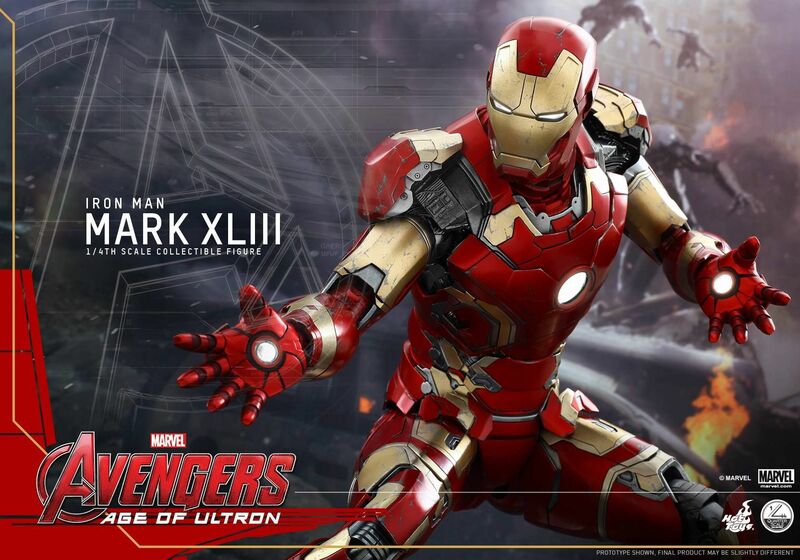 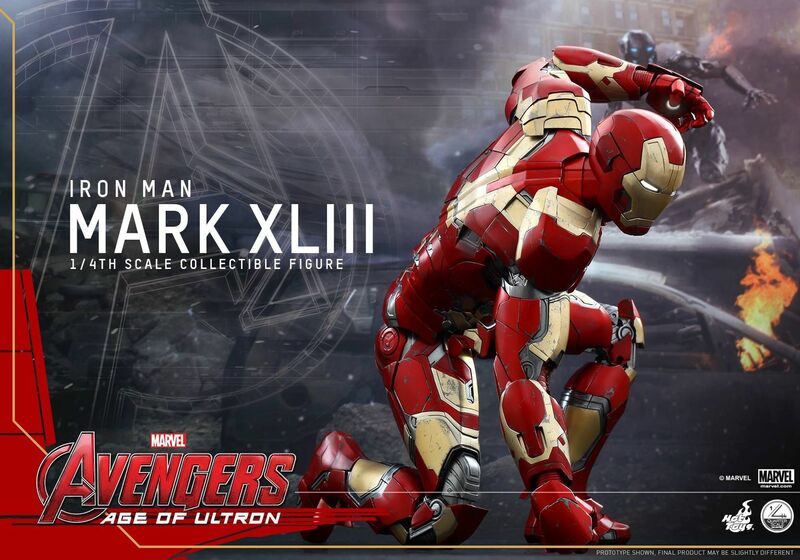 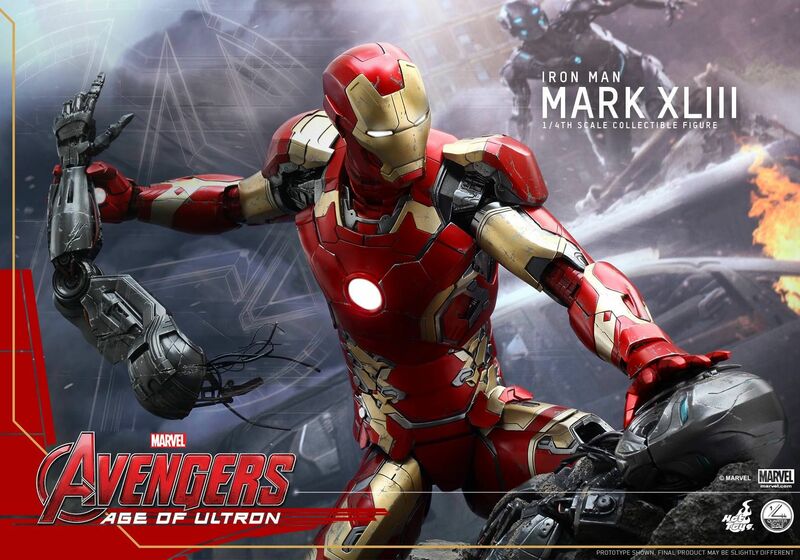 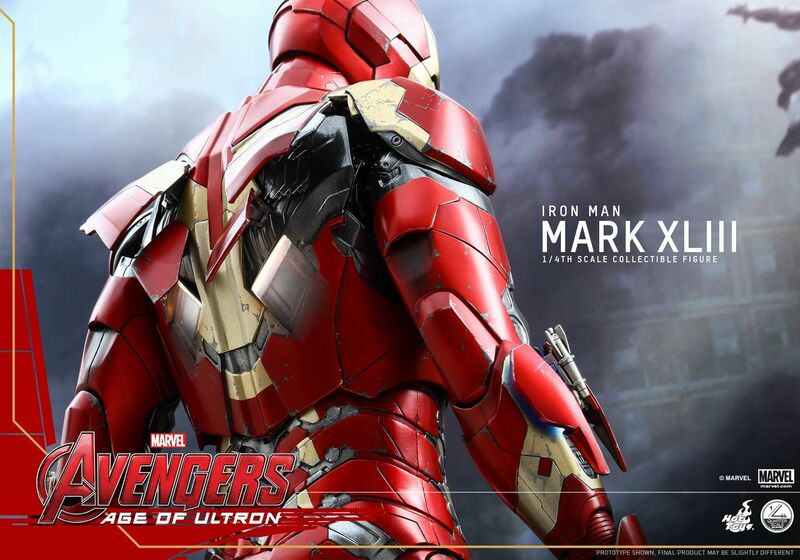 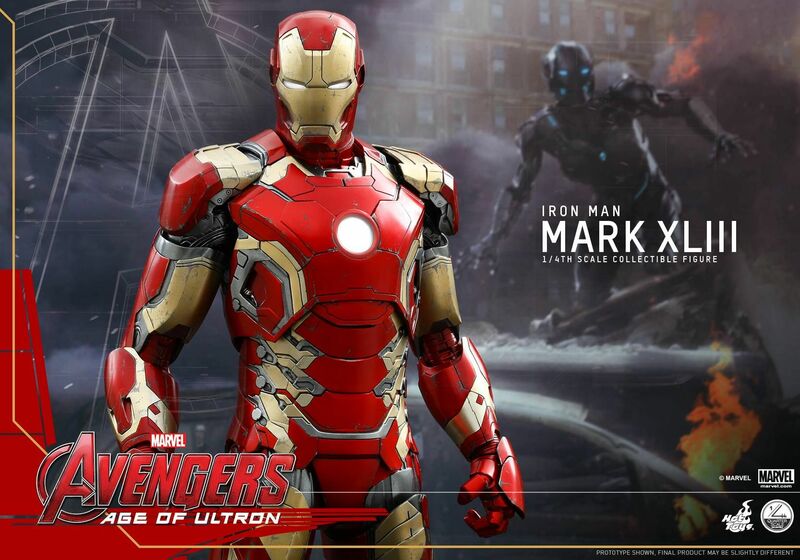 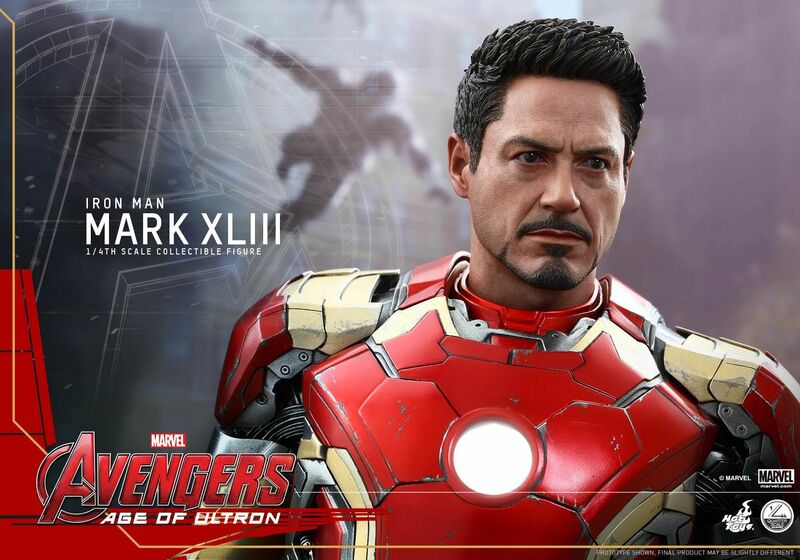 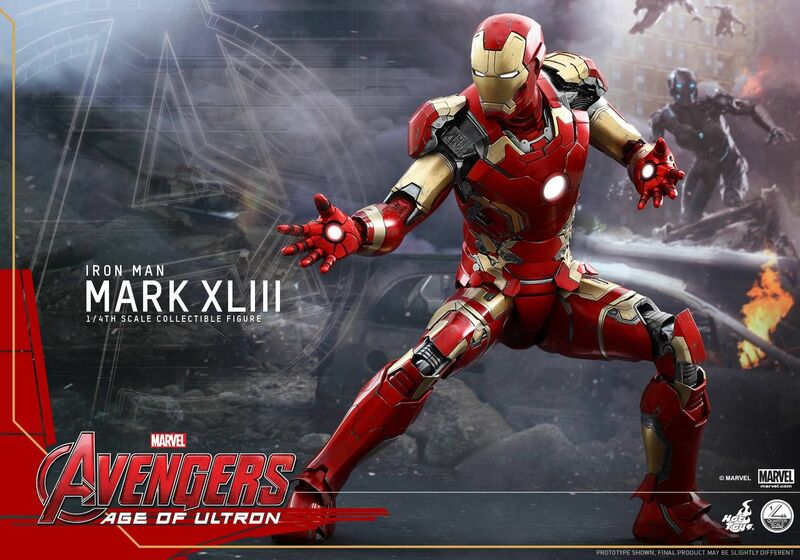 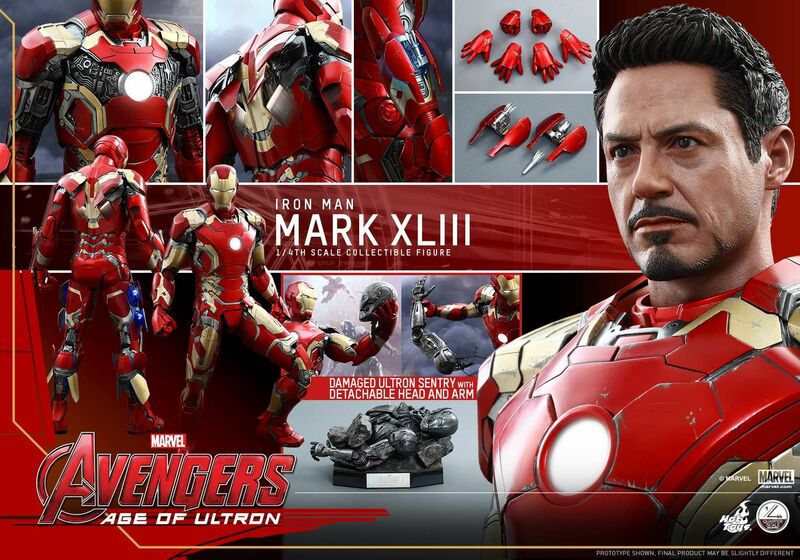 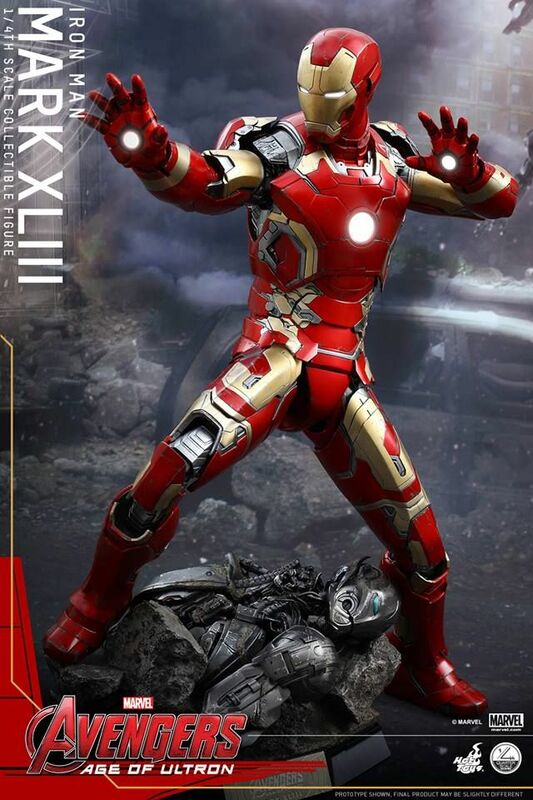 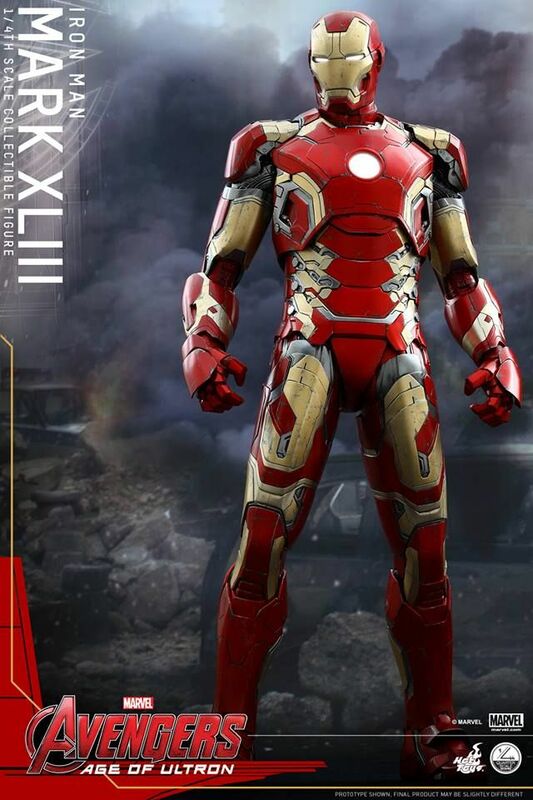 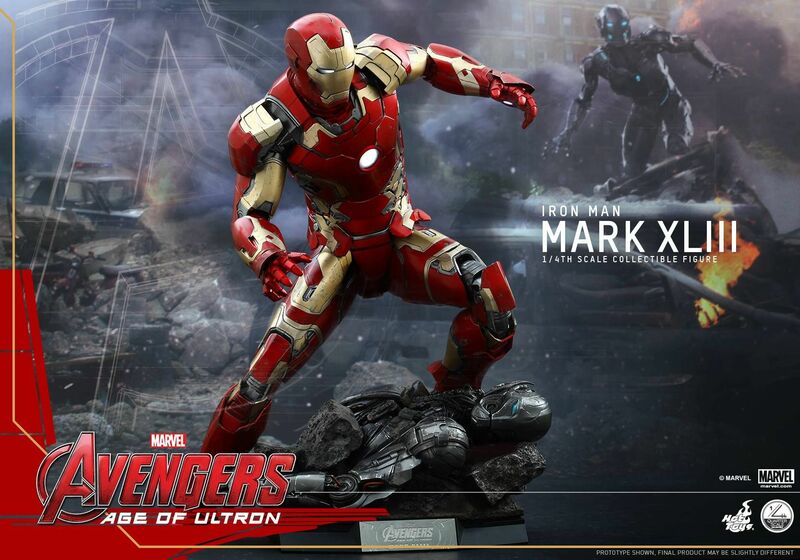 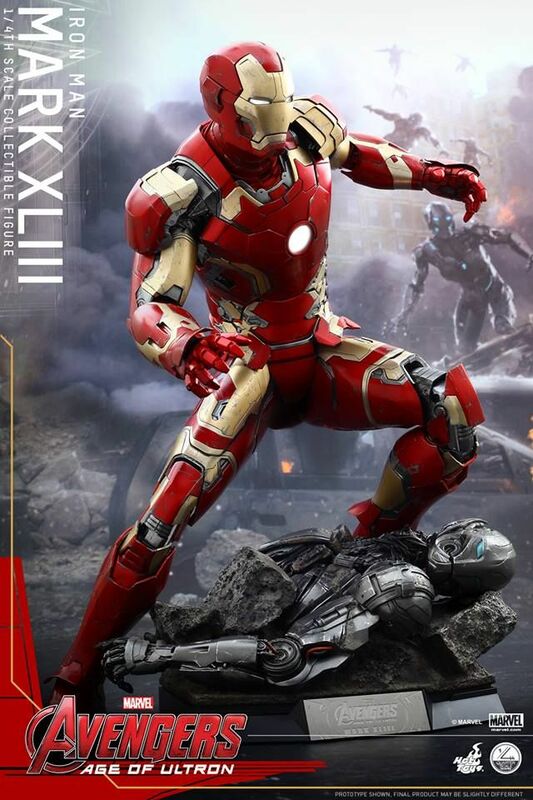 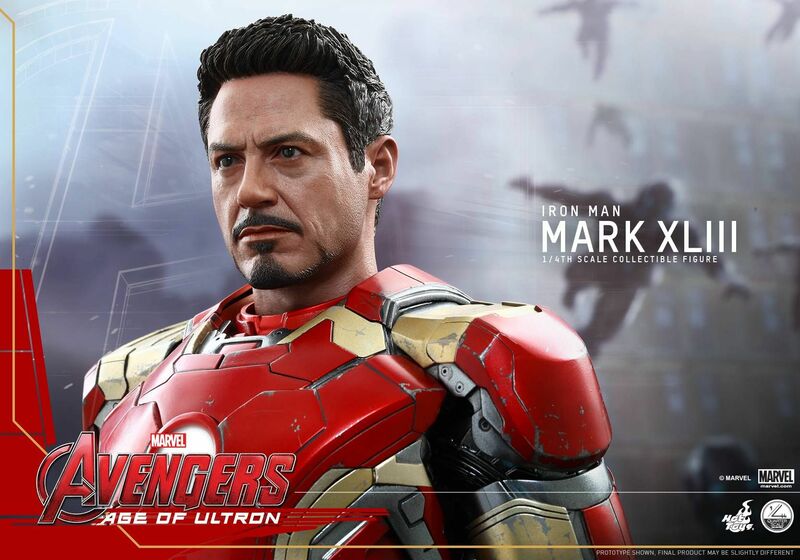 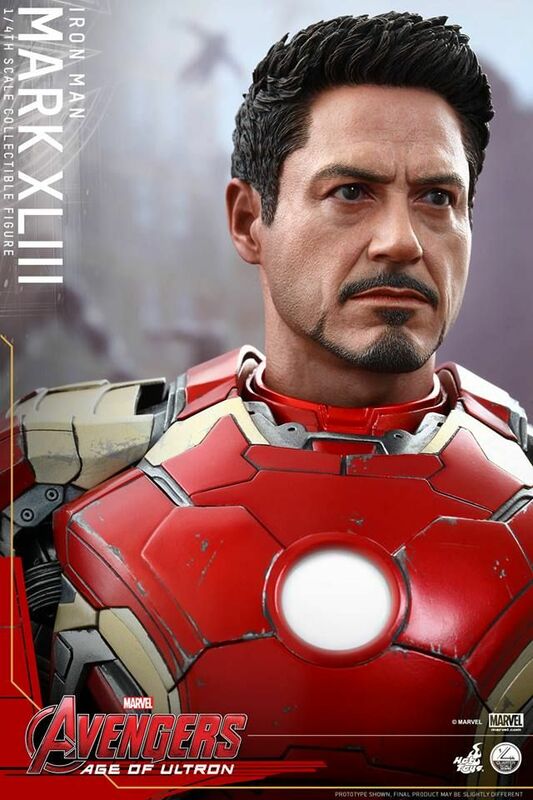 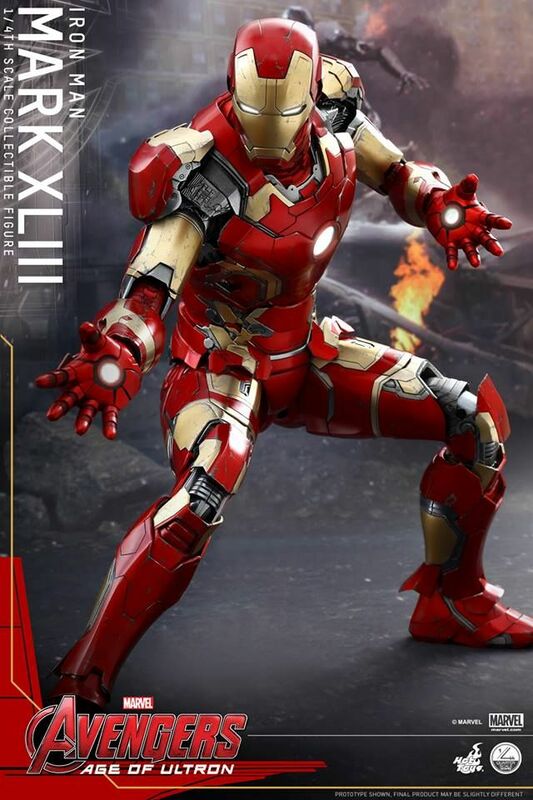 The movie-accurate 1/4th scale Mark XLIII Collectible Figure is remarkably detailed and sophisticatedly crafted based on the image of Robert Downey Jr. as Tony Stark/Mark XLIII in Avengers: Age of Ultron. 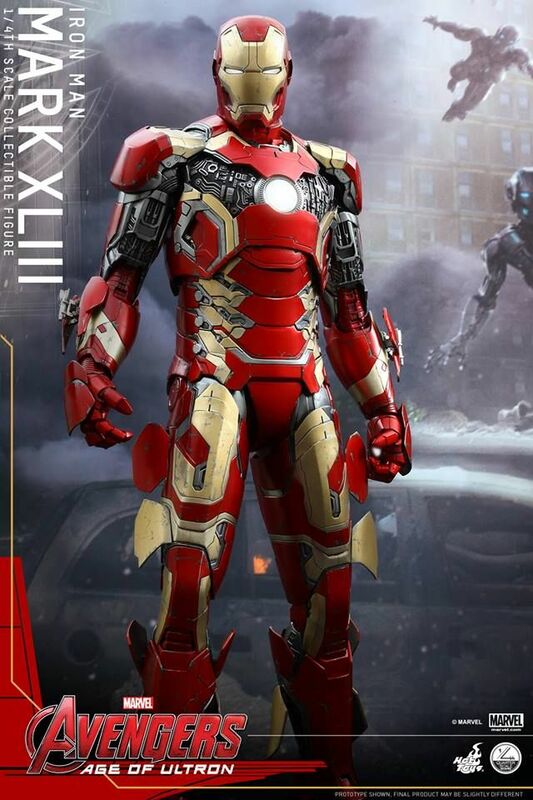 It stands 49cm (20 inches) tall, features a newly sculpted Tony Stark head sculpt, interchangeable helmeted head, specially applied metallic red, gold and silver armor, LED light-up functions on eyes, arc reactor and repulsors, LED lights shine through various areas of armor, removable armor parts, and a specially designed fallen Ultron Sentry diorama base with detachable head and arm. 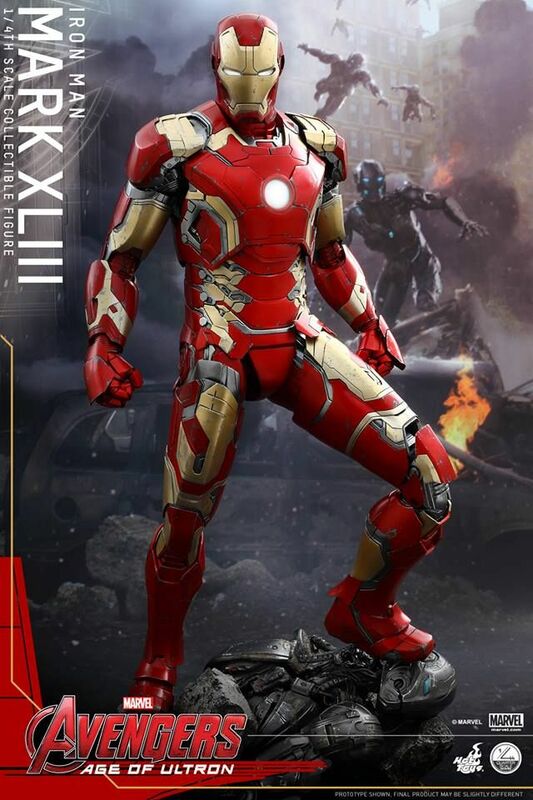 Iron Man fans shouldn't miss the chance to add the first 1/4th scale and the most detailed Iron Man collectible figure yet to your prized collection.